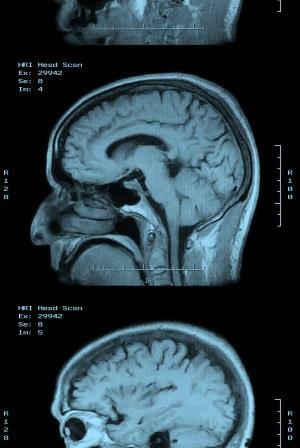 A new article by Megan Brooks, “Resistant Schizophrenia: Brain Imaging Provides Insight,” published on Medscape Medical News, March 17, 2016, reports on the results of a new study examining brain imaging studies of schizophrenia with a focus on the differences and similarities between schizophrenia patients that are responsive to treatment and those that are resistant to treatment. The report authors, Elias Mouchlianitis, PhD, Dr. Robert McCutcheon, MBBS, MRCPsych, and Oliver D Howes, DM, published their report, “Brain-imaging studies of treatment-resistant schizophrenia: a systematic review,” online with Lancet Psychiatry on March 3. The big question, one of the report’s authors, Robert McCutcheon, said to Medscape Medical News, is “whether treatment-resistant schizophrenia is best understood as a more severe form of responsive schizophrenia or whether it has a fundamentally different pathophysiology.” The resolution of that question, which is the focus of a great deal of current research, could have a profound effect on diagnosis and treatment. Although the study does not provide a definitive answer, it appears to be an important step, further illuminating what is known and opening the way to learning more. The study was funded by Medical Research Council UK Maudsley Charity, the Wellcome Trust, the UK National Institute for Health Research Biomedical Research Centre at South London, the Maudsley National Health Service Foundation Trust, and King’s College London. See the Medscape article HERE. See the Lancet Abstract HERE.